Hey everyone! I hope you are all doing well and had a lovely Thanksgiving! Today I want to share with you guys what I received in my November Play! 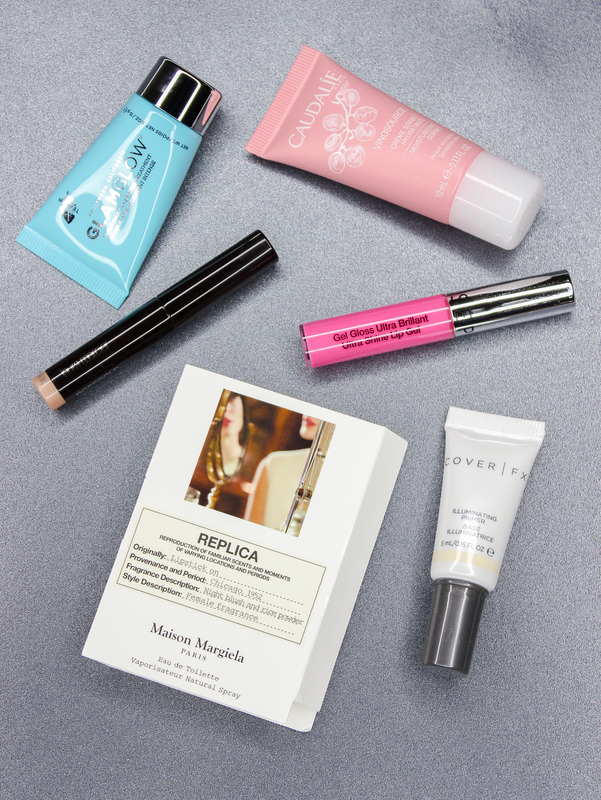 By Sephora box. 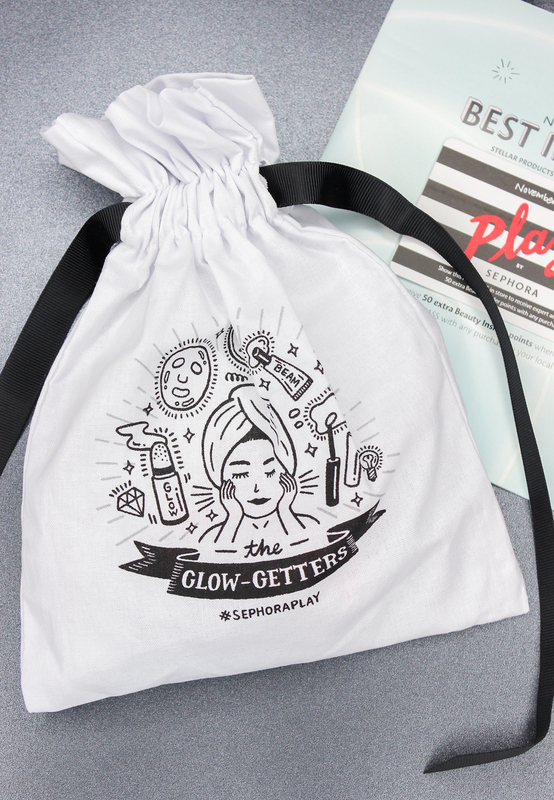 The theme for this month is "Best In Glow", which puts the spotlight on makeup and skincare essentials that help illuminate the skin. So great for this drying winter season. I am definitely going to be incorporating a few of the products into my routine. Caudalie Vinosource Moisturizing Sorbet: This gel cream hydrates, rejuvenates skin, softens and calms redness. It contains unique ingredients like organic grape water to help moisturize, and grape seed polyphenols which provide powerful antioxidants. Sephora Collection Ultra Shine Lip Gel in Pin Up Pink: I really like this gloss. 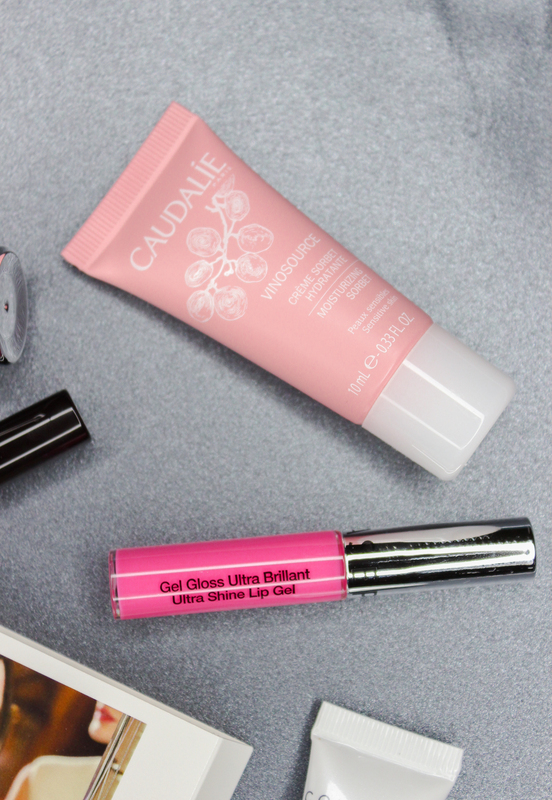 The sheer wash of color is flattering against the skin, and the formula feels comfortable and moisturizing on the lips. The super shiny finish is unreal, though. So gorgeous! 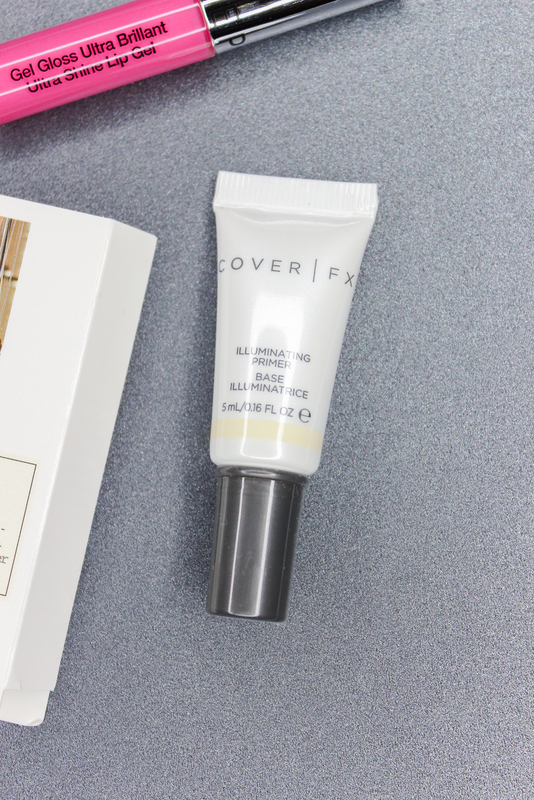 Cover FX Illuminating Primer: I have heard great things about this primer, so I am happy to be able to give it a try. It's silicone free, and contains a light-reflecting mineral complex which imparts a glow to the skin and gets rid of dullness. Bonus: This primer helps improve skin clarity with continued use. GlamGlow ThirstyMud Hydrating Treatment: This mask is very interesting and unlike any I have tried. It's a hydrating mask that helps moisturize and calm skin, for a dewy and softer complexion. I have only tried this mask once so far and I am not too sure about it. It definitely moisturizes-intensely, but I can't seem to get over the tingling sensation this mask imparts on my skin. It even sticks around after I remove it. Also, since this is one of those masks that's rinsing optional-you can wipe it off, massage the remaining product into the skin or even leave it on overnight, it feels heavy and tacky on my face; and I am totally not down with that. I will give this mask another try before I completely write it off but, I really don't think this mask is for my sensitive, combination skin. Those with more resilient and super dry skin will probably benefit from this mask more than I did. Laura Mercier Caviar Stick Eye Color in Rose Gold: This eyeshadow stick is so pretty! 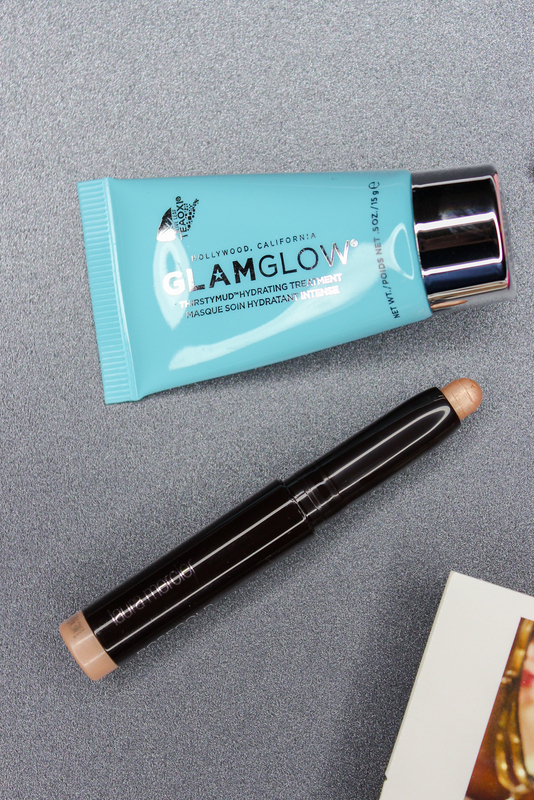 The color is perfect for illuminating eyes, and I just love how smooth and creamy the formula is. Maison Margiela 'Replica' Lipstick On: This fragrance smells amazing. It's powdery and floral scent is contributed to notes of bergamot, neroli, orange blossom, iris, tonka bean, bourbon vanilla and patchouli. What do you all think of the November Play! box?